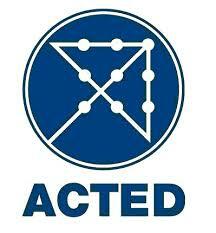 ACTED is looking for experienced self-driven and self-oriented professionals to fill Finance Manager position based in Hargeisa-Somaliland. Provide technical assistance to the Country Finance Manager and the rest of the finance team. Responsible to develop any financial sheets for all the projects, any revision if need be and communicated it to the mission. Responsible to develop Budget proposal and budget narrative while needed. Accountable for the well management of the mission budget. Responsible to strengthen Finance Logistics Administration Transparency (FLAT) officer knowledge on Budget Follow Up (BFU). Responsible to prepare all the program financial Intermediary report, liquidation, financial report. Ensure that all the monthly forecast is as per the budget forecast plan. Ensuring that the decision taken or whish from coordination is financially feasible. Ensure that all the ACTED financial procedures are implemented and followed by all. Update the Validation and disbursement payment while needed. Responsible to prepare, revised and share with the mission the monthly allocation table. Responsible for the PART 2 of the mid and yearly closure. Update the CFU on daily/ monthly basis. Update the DFU on monthly basis. Ensure a well management of the finance by program team by analysing gaps and proposing improvement or new tools. Ensure a well follow up of the program expenditures by developing specific tools if needed. Responsible to cross check that all the PO has been well plan in BFU and that their sufficient fund to commit the expenses before sending to CFM. To ensure an on-time and efficient flow of information. To ensure filling and organization of the department is optimal and efficient. Other tasks and responsibilities as requested by the Country Finance Manager. Qualified persons with the required skills are invited to submit their applications accompanied by detailed curriculum vitae and cover letter as a single document i.e. with the cover letter being on the first page and the CV starting on the second page, detailing three work related referees and contacts to [email protected] and received on or before 5.00PM on 06th March 2019 with the subject line “HARGEISA FINANCE MANAGER”. Note : Please note that only the shortlisted candidates will be contacted.